TUESDAY, March 14, 2017 (HealthDay News) -- It's often difficult for doctors to tell the difference between depression and schizophrenia, especially early on. 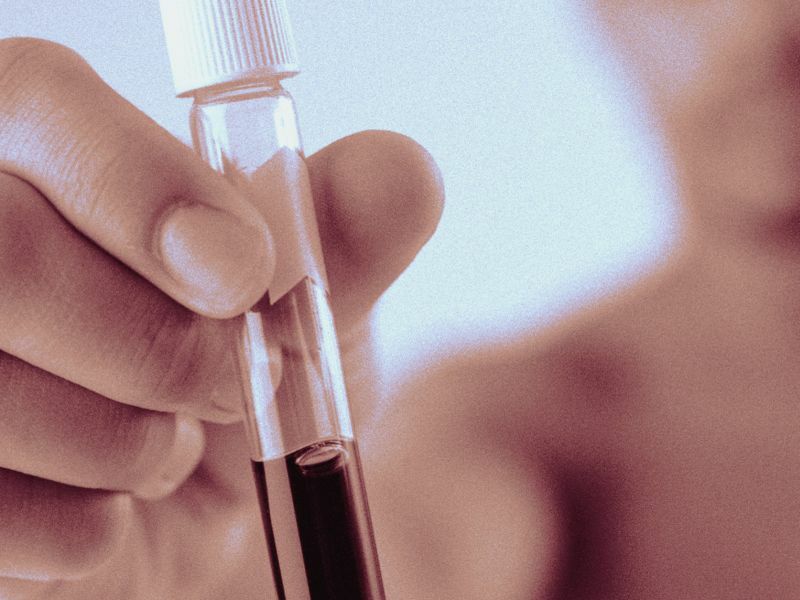 Now, researchers say they're on the trail of a blood test that might be able to do just that. "This is the first objective, physiological marker for two major psychiatric disorders that, once fully developed into a clinical test, can allow for earlier and more accurate diagnosis, and selection of more appropriate medications for patients," study co-author Dr. Handan Gunduz-Bruce said in a news release from The Physiological Society. Gunduz-Bruce is a schizophrenia researcher at the Yale School of Medicine. One psychiatrist agreed that such a test is needed. "It can be very difficult to diagnose depression and schizophrenia, especially when they onset in the adolescent years," said Dr. Scott Krakower, assistant chief of psychiatry at Zucker Hillside Hospital in Glen Oaks, N.Y.
"Symptoms may not be as clear and the patient may not exhibit all symptoms of the disease," Krakower added. He believes an early diagnostic test "may help us one day quickly diagnose complex cases and offer earlier intervention for our patients." According to the Yale team, animal research had already shown that the release of a hormone called arginine-vasopressin (AVP) relies on a cellular process known as NMDA receptor signaling. NMDA is a brain cell receptor for glutamate -- a chemical that delivers messages between brain cells and may play a role in depression. NMDA receptor signaling appears to be increased in people with depression but reduced in those with schizophrenia, the study authors explained. For the study, the research team gave volunteers a highly concentrated salt solution. This solution is designed to trigger the release of AVP. The researchers then tested each patients' blood for AVP. The researchers found that AVP release among those with depression was different from those with schizophrenia. Depressed patients had a greater release of the hormone, while people with schizophrenia had a decreased production. According to the researchers, the findings could lead to a test that might help identify certain forms of depression and schizophrenia. Since the two conditions often have vague and mild symptoms early on, such a test might enable patients to be diagnosed sooner and receive more appropriate treatment, the researchers said. Still, that day may be a long way off -- the researchers said they haven't yet developed a test that could be used outside of their lab. Dr. Ami Baxi directs inpatient psychiatry at Lenox Hill Hospital in New York City. She agreed with Krakower that "although this method will not capture everybody with depression or schizophrenia, it is a step towards earlier and more accurate diagnosis with potential for targeted treatment options." The study was published March 13 in the journal Experimental Physiology.